That special Sunday is coming up quickly, so I wanted to share a quick Mother’s Day Gift Guide with you all. Hopefully this gives you a few ideas for products that your mom might enjoy. I’ve tried to include several different price points depending on your budget. I have also broken this out by category depending on the types of products your mom might enjoy. 5x Points On All Purchases Today, I received an email offer for 5x points on all purchases. I’m not sure if these email when out to everyone, but if you didn’t get it, I’d recommend calling Ulta to see about adding it to your account. Free Tote Bag When you spend $40, you have your choice of a free tote back in one of three colors. Typically I think gift with purchase bags look cheap, but I saw this one in stores and it’s really cute. These are all products that I’ve tried and love, but in general both Ulta and Sephora have great gift sets going right now for bath and body products. Philosophy Fresh Cream & Mint with Berries On Top Trio – $26 I love Philosophy body washes. And this little trio is a great value and gives scents that I think everyone would love. Body Shop Spa of the World Dead Sea Salt Scrub – $36 This is definitely a pricier salt scrub, but it’s one that I always have on hand. I feel like it gives just the right amount of scrubbing action with essential oils mixed in. My skin ends up feeling so soft and moisturized after using. And oh, the scent is just incredible. If they made this into a perfume, I would buy it immediately. But the great thing is the scent on this actually lasts all day long on your skin. Julep Nail Polishes – $14 My favorite nail polish brand is definitely Julep. I find the polish doesn’t chip as quickly as many other brands and I love that the formulas let your nails breath. They describe their polishes as, “Proprietary 5-free, vegan-friendly formula also includes strengthening Hexanal and antioxidant green coffee extract.” I really can tell a difference with my nails when I use their polishes. Skin care is a very personal thing so I don’t typically purchase these types of products as gifts, with the exception being things like face masks and treatments. But I had to include one skincare kit that contains all the products I think are remarkable. Philosophy Cleanse, Refine, Renew Kit $75 – It might feel like a hefty price tag, but this kit is actually a $110 value. Plus, it has my three favorite products from Philosophy all in one kit. The Purity Made Simple cleanser remains my daily face wash and nothing I’ve ever tried has knocked it off its top spot. It’s gentle while still removing my makeup and cleansing without stripping my skin or leaving a residue that some “moisturizing” face washes can. The Renewed Hope in a Jar is my nighttime moisturizer and it jam-packed with great anti-aging benefits including three alpha-hydroxy acids for exfoliating and three forms of hyaluronate and Asian fruit extracts for moisture. And finally, it include the Microdelivery Resurfacing Peel which goes down as the most life-changing face product I’ve ever used. It uses a two-step process with both chemical and physical exfoliants that leaves my skin smoother and more radiant than anything else I’ve ever tried. This kit is sold at both Ulta and Sephora. Tony Moly Master Lab Sheet Masks $4 – These are buy one, get one 50% off right now at Ulta and I love all three. Many sheet masks really just hydrate your skin and that’s fine. But these three amp up the ingredients with Vitamin C, Ceramide or Hyaluronic Acid. Until a major retailer starts to carry my favorite Korean sheet mask brand, Medi-Heal, this remains a great affordable option. It’s no secret that I love makeup. But I really wanted to curate a small list of products that I know women of any age would love. Moms are busy people who are frequently known to skimp on splurging for themselves. So this is a small collection of makeup that she might not think to get for herself, but she’s guaranteed to love. Bare Minerals Unwrap Complexion Rescue Set $38.00 – This set is such a great value and contains face products that are easy to apply and great for all ages. The Complexion Rescue Tinted Hydrating Gel Cream is a favorite of both my mom and I. It’s lightweight, evens out your skin tone and gives your skin a healthy luminosity that isn’t shimmery. The kit also includes Mineral Veil powder that gives a Photoshop effect to the skin, a stippling powder brush, and a makeup bag. There are only four difference shade ranges, but don’t worry too much about an exact shade match. This product disappears into the skin and is light enough coverage that the shades will work for a lot of women. Fiona Stiles Multidemsional Color Palette $19.50 – This palette is on sale at Ulta for 50% off so grab it quickly! It includes three blushes, 2 highlighters and a bronzer. And true to Fiona Stiles brand, it truly is mistake free makeup. 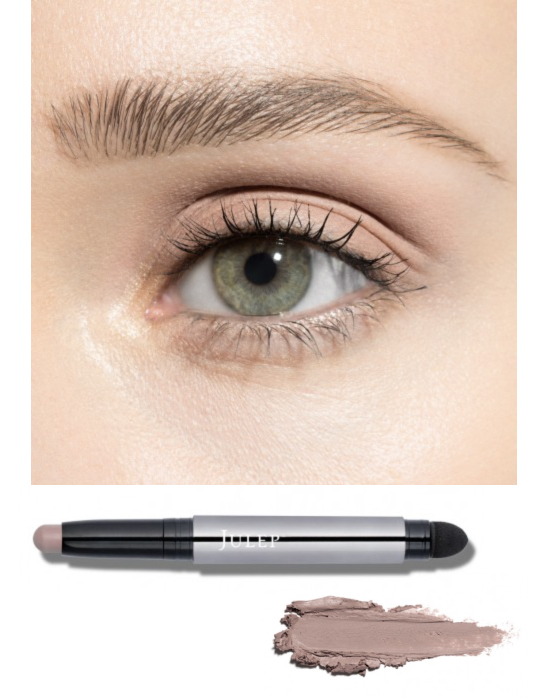 These colors blend effortless on the skin and never look powdery. I did a more in-depth review if you’d like more detailed information and swatches. Fresh Sugar Lip Treatment $24.00 – This is one of those amazing products that mom probably wouldn’t stop to purchase for herself. These are some of my favorite lip balms and I love that they have tinted colors also. I love the original clear balm and I recently picked up the new pinky-mauve shade Sugar Bloom which gives a gorgeous tint to the lips without losing any of the moisture from the original. Did I mention they smell like pink lemonade? 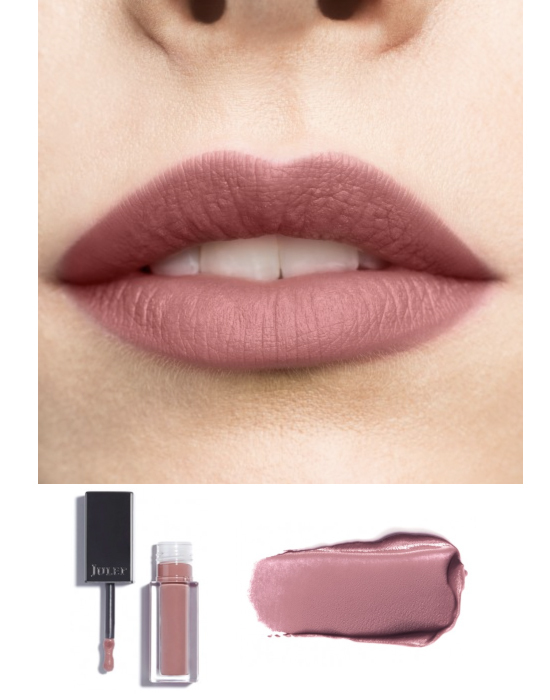 Tarte Lip Sculptor $24.00 – This lipstick/lipgloss combo is an Ulta exclusive and is one of my favorite products from Tarte. The lipsticks are pigmented and moisturizing and I find that they stay in place. The coordinating gloss is more gel-like and not sticky feeling which is a must for me. I own several shades and they are frequently what I keep in my purse and travel with because they are so convenient. 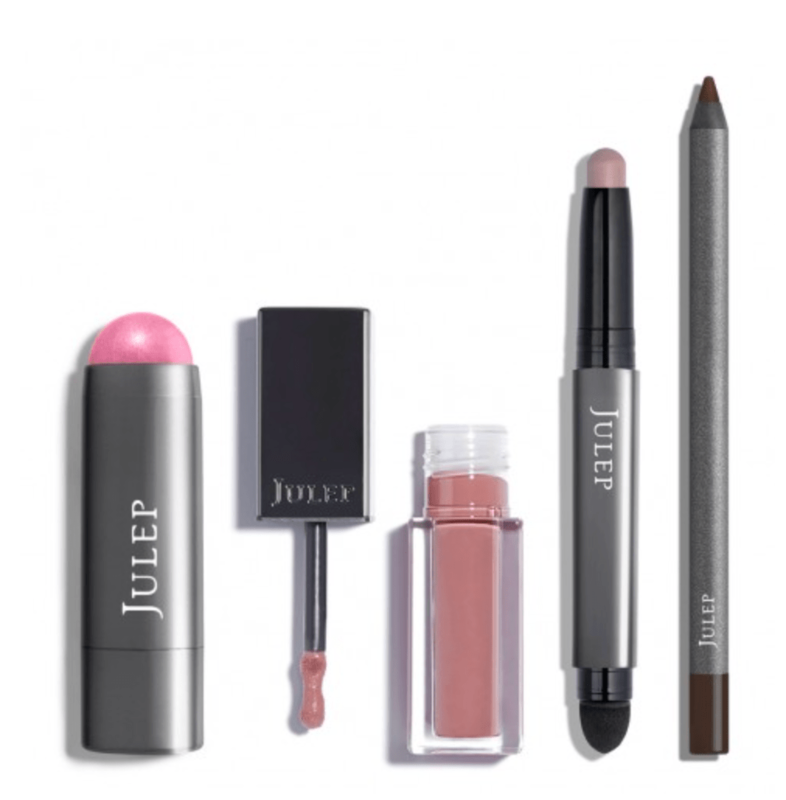 Julep Modern Romance Kit $39.00 – I think Julep is a pretty under-rated makeup brand. Certainly, they started out with just nail polish, but in the past few years they have expanded to makeup and skincare and I’ve found quite a few products from them that I love. And this kit actually contains a bunch of them and is a $78 value. 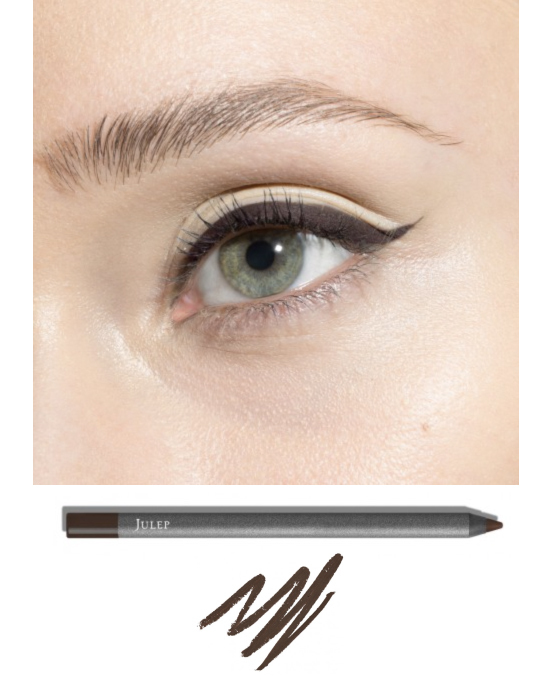 My favorite eye pencil of all time is actually Julep’s “When Pencil Met Gel” pencil. They simply glide on, give you time to smudge out if necessary and then LOCK into place. I love that this kit include a basic brown. 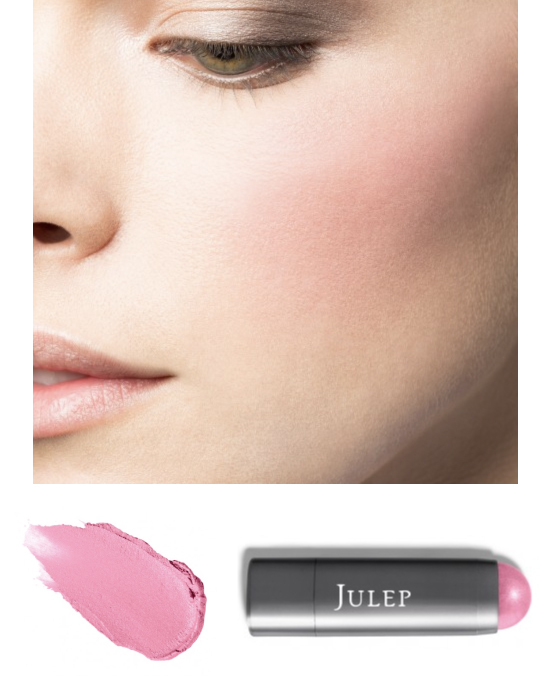 You also get the “Crème-to-Powder Eyeshadow Stick” in Putty which is a matte pale blush shade. This formula rivals the much more expensive versions from Bobbi Brown and Laura Mercier. I also love that it comes with a large sponge for smudging out the edges on one end. You also get a “Crème-to-Powder Blush Stick” and a “It’s Whipped Matte Lip Mousse” in very pretty pink shades. This is a great value and I think the colors they’ve chosen will make a fresh, natural look perfect for spring. I hope you found this Mother’s Day Gift Guide helpful and that you and your mom have a wonderful day together. And if you are a mom, I just have to pause and say THANKS because one day a year just isn’t enough to appreciate everything you do.